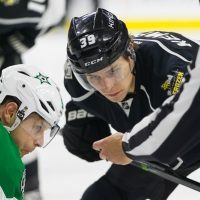 Fresh on the heels of forward Nick Shore and the Kings agreeing to new one year contract, with an average annual value (AAV) of $925,000, we have updated our look at the team’s current salary cap situation. 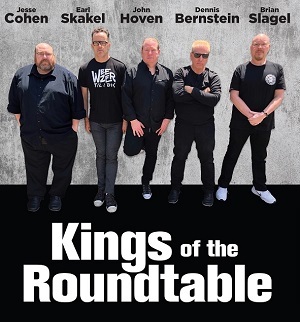 After all the hand-wringing and head-scratching that went on this summer over the Kings roster, it’s all about to become crystal clear in the next 48 hours. Some people will like the results, others won’t. 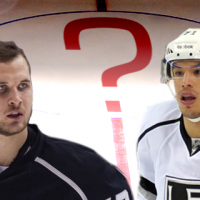 Regardless, there are several tough choices ahead for GM Dean Lombardi, coach Darryl Sutter and their key lieutenants. 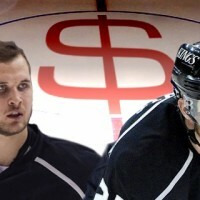 Salary Cap Crunch – Kyle Clifford or Trevor Lewis? Welcome back to summer school. 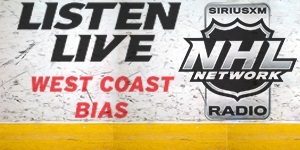 This is Salary Cap 101, week two. Please take copious notes, there will be a pop quiz later this week. 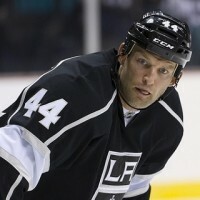 We pick things up following the trade that went down over the weekend between the LA Kings and Toronto Maple Leafs. 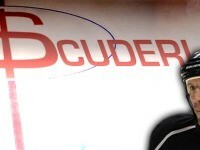 POLL: What should the Kings do with Rob Scuderi? 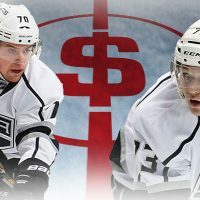 With the signing of Slava Voynov earlier today the Kings now have five defenseman under contract for next season – Drew Doughty, Matt Greene, Willie Mitchell. 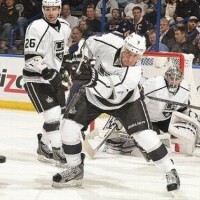 Robyn Regehr and Voynov.